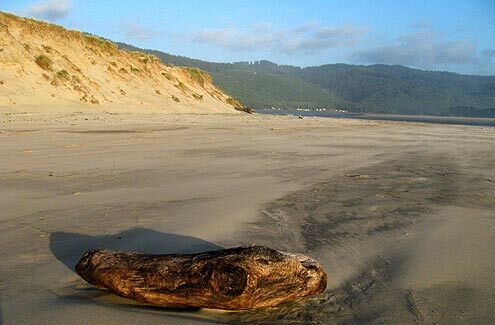 From the westward parking lot of Sand Lake Recreation Area, you tread about a half mile over soft, loose, and ankle-bending sands and dunes – a real workout on the gams – and you come to the beaches. From here, look north towards Cape Lookout, a couple miles away. To the south is the edge of Sand Lake. Driving ATV's is legal in this spot along a small stretch, but after that you have the beach to yourself. Revel in the soft blues and fiery gold of this placid place on sunny days. 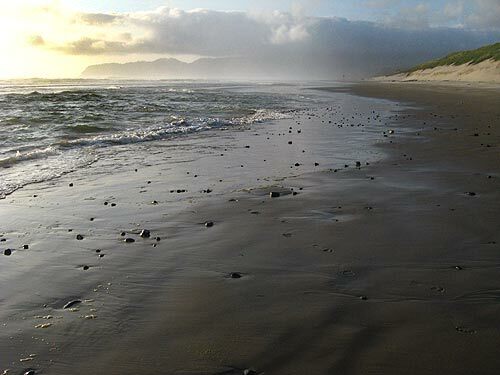 More about Driving on Oregon Coast Beaches.